The oil and gas industry has surged over the past couple of years in order to compensate with the growing demand of consumption. 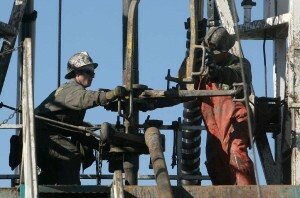 Along with the boom of oil and gas is also the resurgence of the steel industry. Tubular goods to be used in drilling rigs, pipes, joints, and tubes has made oil and gas exploration much easier. Since most technological tools for exploration and drilling are made of steel, production of tubular goods has increased by numbers each year. In fact, the American Iron and Steel Institute reported that a steel manufacturer in the US broke an all-time sales record last year with a staggering production of 19.2 million metric tons of steel, all for the drilling industry. With the fact that the drilling industry and steel go together, it is undeniable why many steelmakers strive to become one of the best steel manufacturers. The innovation of the core drilling method must be backed up with a quality steel manufacturer, the reason why National Specialty Alloys (NSA) makes sure that their line of steel products are quality made, ISO certified, and efficiently delivered. Steel is used for the construction of heavy machinery utilized in drilling because it resists oxidation, mainly due to the chromium content. When steel is exposed to oxygen, a chromium oxide film acts as a protective layer. This is also the reason why steel appears shiny. The reason why some elements are alloyed is in order to enhance the physical, mechanical and corrosion properties of a specific type of steel. Seamless steel tubes are used in downhole drill motors, sand screens, and perforating guns. Most steelmakers see to it that their products are high resistant in order to yield strength and be able to tolerate tight dimensions. Tools which are used for drilling and exploration should be able to bear heavy loads, withstand harsh weather and work at high operating speeds. For this reason, an oil and gas drilling company should have a steady and trusted supplier of steel, one which can assure them of providing high quality products such as NSA. Nickel is a type of metal which is used for many purposes. It can be seen in almost anything and everywhere – in our homes, commercial establishments and even in the streets. While the metal is sturdy in itself, it is also a suitable choice for alloying – meaning mixing it with another metal with the same matrix in order to create a sturdier and stronger variety to be incorporated in many materials such as coins, electroplating, tint for glass, and stainless steel. Nickel, in appearance, is silvery-white and becomes more attractive when polished. It has slow reaction to pressure but is hard and ductile at the same time. When heated, it stretches easily. The metal, in nature, is also magnetic which means that it will shrink when placed in a magnetic field. This property is referred to as magnetostriction. The price of nickel bars depend on the supplier. The cost is often based on the mining price. Nickel bars may range from $15 to $40 per pound. This is based on the shape, size, and type of alloy you wish to order. Currently, National Specialty Alloys (NSA) is a leading distributer of nickel alloys and stainless steel. You can order Nickel bars in various sizes which comes round, flat or square. Many industries get their nickel alloys from NSA because they are ISO certified and they deliver anytime of the day, even overnight. If you are not sure of what to purchase, you can always ask their staff who are highly trained and knowledgeable when it comes to different kinds of alloys and their uses. The company also ensures that your items will be shipped with the utmost care so you will receive it in the best condition. Different types of nickel alloy are identified using a Unified Numbering System or UNS number, the type, and its Federal specifications. Some of the most common alloys are Alloys 200, 400, 500 and 718. If you don’t know how to identify nickel alloys based on the code, you can always refer to http://www.nsalloys.com/materials-tools/nickel-bar-properties, NSA’s website which contains a chart on the different types of alloy. NSA also accepts orders if you have specific sizes or shapes for your nickel bars. You can give specifications on the diameter and length so it won’t be difficult for you in building your projects. Prevent the spreading of disease and food contamination by using stainless steel. It is interesting to discover how the benefits of stainless steel extend beyond personal cookware. Many home kitchens understand the advantages to cooking with this metal and that is why it is a preferred material for cookware and utensils. It’s durable, corrosion-resistant and has unsurpassed hygienic traits that other materials do not exhibit. But did you know this extends to commercial industries too? I have extensively discussed the uses of this metal in the marine, oil and gas, and environmental clean-up settings but what about the presence of stainless steel in the dairy and food processing business? 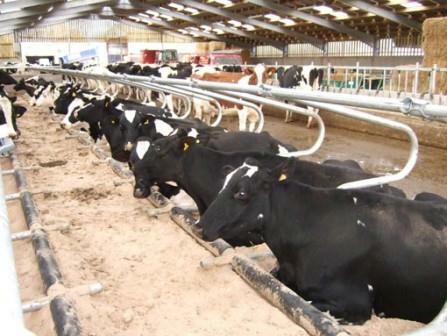 Scientists have learned that when farmers use stainless steel water troughs then Johne’s disease within dairy cows is prevented. According to the USDA, this may save a dairy business as much as “$200,000 per year in a herd of 1,000 dairy cows.” These financial fatalities mainly consist of a production decrease/profits loss and cover the necessary removal costs of infested animals. Stainless steel plays a vital factor in the food production industry. 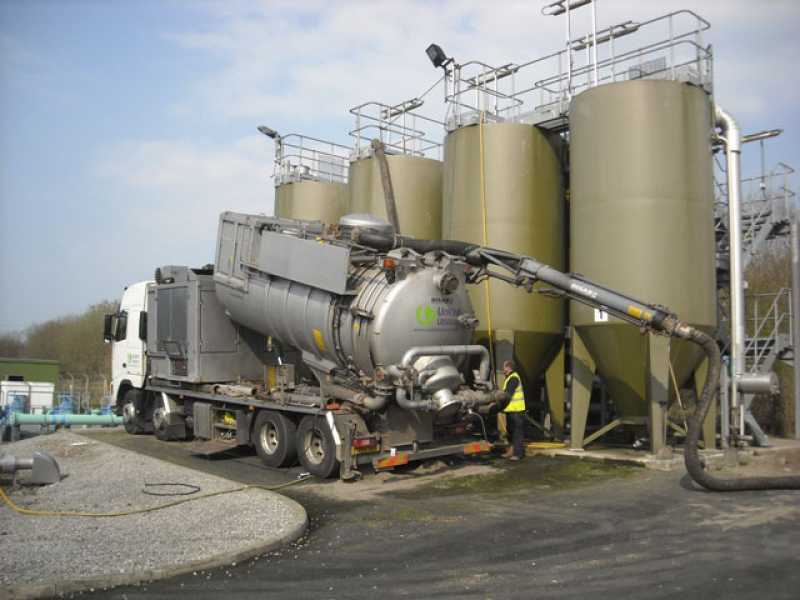 Stainless steel tanks are essential to the effectiveness and success of this business. Stainless steel does not corrode and is highly rust-resistant meaning when chemicals and food acids come into contact with this material the tanks stays intact. This preserves the food nutrients and tastes while excluding any undesirable toxins and/or chemicals from entering the mixture. To find out more about how your business can benefit from using stainless steel and nickel alloys, call us today! Stainless steel saves you money on upkeep and maintenance while increasing profits and productivity. Money is tight for many businesses including mechanical and factory-based industries. 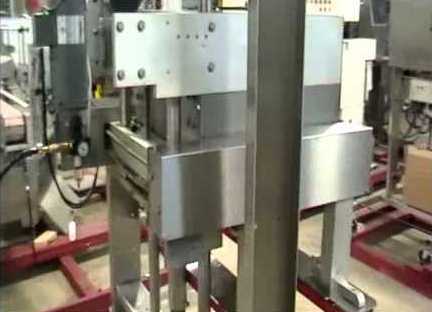 These businesses rely on equipment to work properly and not break down, Their goals are to generate better product in an efficient, cost-effective manner while preserving profits. It is this specific machinery dependability that ensures production and profits are not interrupted. Once your business is forced to halt operations due to maintenance and upkeep issues then you lose money. Stainless steel helps you achieve these positive production and financial goals with little to no maintenance and upkeep costs. But finding a reputable, reliable and knowledgeable stainless steel distributor is a concern to business owners alike. Here are some business owner concerns that can be easily addressed by finding the right nickel alloy and stainless steel provider. When you find the right merchant then that business consistently delivers exceptional product for a valued price. Operators working at these types of industries always refer to the vital aspect of consistency and how it relates to profits and production. If a company buys stainless steel from a supplier and the product is not the same quality for each order then profits and production is affected. This is why you need to find a distributor with a proven track-record. Find one that is able to show you testimonials from other clients. If they are as good as they claim then that should be a simple task for them to accomplish. Take a look at your production and buying costs. How much are operating costs plus materials minus the profits? What is the price of stainless steel parts and fasteners versus other materials? Factor in the upkeep and maintenance costs. Stainless steel distinguishes itself from other materials because of its durability, longevity and corrosion resistant traits. This safeguards your profits and decreases repairs and maintenance expenses. Examine the numbers carefully and discover for yourself the advantages to purchasing stainless steel over other metals. To talk to a steel distributor that delivers the best product and cost, call us today! 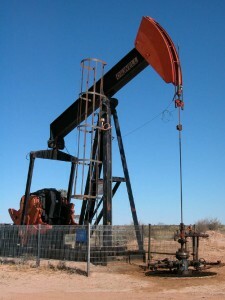 The oil and gas industry benefits from using stainless steel. Stainless steel is an ideal material for a wide array of commercial businesses. We see it used in the catering business, oil and gas, medical and construction. It surpasses other materials when it comes to cost, durability, adaptability and weight. It is selected due to its rust-resistant traits, customizable shapes and its hygienic qualities. Let’s take a closer look at what industries use stainless steel and why it is the chosen material for them. This type of metal can be fabricated into an extensive range of forms such as tubes, coils, sheets, plates and more. These options vary depending on the purpose of the desired industry. For instance, the automotive industry needs coils and tubes to exchange, transfer and hold liquids within a vehicle’s engine. These instruments must also serve to protect and keep the liquids untainted when extreme heat or cold occurs. This can be achieved by using this type of metal. It varies in the width and shape ensuring it fulfills the needs of the car’s mechanics while remaining intact under harsh weather conditions. Other materials fall short when the same requirements are applied. 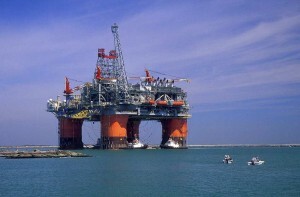 Another industry where the contrast in form is vital to the success of the business is the oil and gas industry. The oil and gas industry demands certain dimensions for its drilling vessels to safeguard proper operations. The metal must hold up while being submerged in water and still perform effectively. All of these factors are critical to preserving the health of those living on the vessel and the surrounding environment. If a piece of equipment fails then it puts everything and everyone within range at risk; thus, the measurements must be precise and the material must be long-lasting. To find out more about nickel alloys and stainless steel, call National Specialty Alloys today! Find out about the many benefits to using stainless steel for commercial and home kitchens. Have you ever observed media coverage on infamous international hotels and restaurants? I am referring to the type of coverage that gives you a tour of the beautifully designed facilities and shows why specific materials are chosen. It provides the audience with an inside glimpse of the workings behind these successful, masterful businesses. They discuss hygienic and cost-effective decisions being the driving force behind why particular metals are used, especially stainless steel. Today I am going to share with you a brief summary of this coverage as it relates to the advantages of using stainless steel for commercial and home usage. Stainless steel is a resilient, 100% recyclable, hygienic material making it a popular choice for commercial and home kitchens alike. It has a universal appeal that works with modern, sleek-looking kitchens while providing a non-contamination working zone. Utensils, appliances, flat surfaces and backsplashes ensuring longevity and corrosion-resistant traits are produced from stainless steel. This prevents food contamination from occurring while keeping everything aesthetically appealing. It is easy to clean and requires little to no maintenance and/or upkeep costs. These advantages alone make it an ideal choice for commercial and home kitchens. It is why these benefits are frequently mentioned in hotel and restaurant media coverage today. To find out more about the benefits of using stainless steel and nickel alloys, call National Specialty Alloys today! Find out why you need stainless steel waste removal trucks! Finding the right waste removal trucks for your waste management company should not be such a tedious, negative experience. Instead, focus on what you need. Truck material that remains indestructible while removing hazardous and non-toxin waste is essential to the success of your business. Find a non-corrosive, rust-resistant material that does not shift when it comes into contact with resilient waste liquids and acids. Stainless steel fulfills these requirements and more. An average waste holding tank not made of stainless steel may temporarily provide results; however, it won’t last long in comparison to the longevity traits of stainless steel. 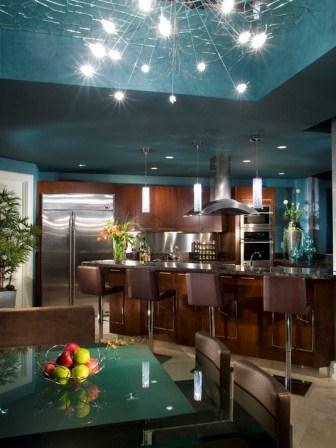 Stainless steel decreases upkeep and maintenance costs to a minimum, if any at all. It is extremely hard-wearing and can endure a wide array of extreme weather conditions and settings. It is also lightweight ensuring your trucks meet the payload capacity without being affected by fuel consumption costs or weight load restrictions. The ease of cleanliness these trucks provide is also an advantage. You do not need to purchase any harsh chemicals which are damaging to the environment and your wallet. Furthermore, this specific metal can be easily fabricated into whatever desired shape and/or measurements needed. This means it is completely customizable upon your requirements. Find out more about the advantages to using stainless steel and nickel alloys by calling National Specialty Alloys today! Brass versus Stainless Steel: Which to Choose for Your Bathroom Makeover? 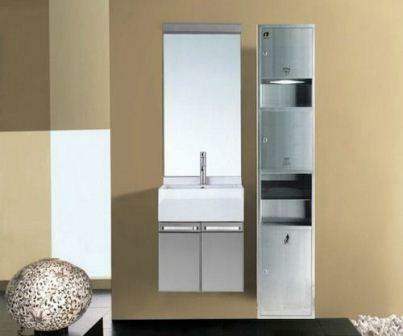 Stainless steel is an ideal choice for residential and commercial bathroom designs. When designing your home or commercial bathroom there are certain factors that determine what material works best for the locale. For instance, you need to think about the level of humidity, heat, water and other environmental settings that take a toll on your hardware and aesthetic touches. If you choose the wrong material then these materials deteriorate and loose its luster due to the existing area conditions. This entry is to help you make the right decision for your next bathroom project. Brass is one of these materials referred to above that erode and lose aesthetic appeal after being exposed to humidity. The humidity triggers a corrosion and aging process to begin; most sealants present will give way overtime too. This causes the brass to turn into a gunk-growing, greenish shade. Brass companies claim that polish helps but this is only a temporary fix for it returns back to its ruined state. On the other hand, stainless steel does not falter, erode or rust under humidity and other extreme weather conditions keeping maintenance, replacement and other upkeep costs down. Stainless steel does not fade. Its visual appearance stays fresh, and its physical durability exhibits a longevity other materials cannot muster. It is easy to clean and has proven itself to be extremely hygienic. It is a common material utilized in the food processing, hospital and pharmaceutical industries due to its corrosion and rust-resistant traits. It is also a very versatile metal suitable for a wide array of design preferences completing your bathroom look seamlessly. To find out more about the benefits to using nickel alloys and stainless steel for your bathroom design, call National Specialty Alloys today!